Well a brand new Uncharted game is upon us and I have to say it looks absolutely gorgeous! 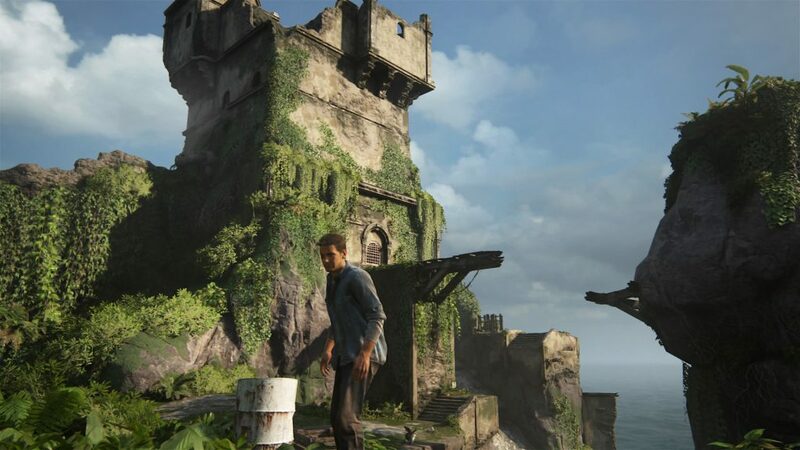 If you’ve been a PlayStation fan for the last 7 plus years or so, then you should be very familiar with the Uncharted series. I’ve got the first 3 Uncharted games from the PlayStation 3 and have played and beat all 3 of them. They’ve got excellent story, graphics, and action and it has just been a pleasure to play those games in the series. 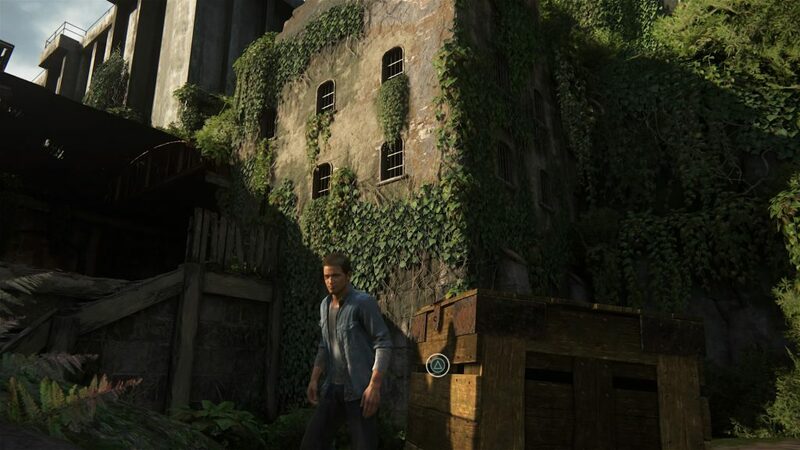 Now if you are familiar with Uncharted then you know that the main character is Nathan Drake. There are other supporting characters as well such as Sully and Nathan’s love interest, Elena. All of these character’s are in Uncharted 4 as well as some new ones. The game basically starts off with Nathan trying to have a normal life with Elena (though you learn of some back story before all of this happens). He generally seems content with that, but things go awry when his thought to be dead brother shows up. His brother’s name is Samuel Drake. Much to Nathan’s surprise, Sam shows up with the promise of lost treasure and needs his brother’s help to get it. Nathan doesn’t necessarily want to do this, but since his brother showed up and has a chance for some excitement again, he just can’t turn it down. I don’t know if I’ve mentioned this in the past or not, but I did get to play the online multiplayer beta of the game. The graphics are fantastic and the multiplayer part ran at 60 frames per second. I didn’t do great at it, but had fun playing it nonetheless. You might be asking yourself why I am talking about this game on this site since the series is not known for being open world. Just because a game isn’t open world (even though they are my most favorite type of games to play) does not mean that other games should be ignored. I do have a page here that is dedicated to other games on the PS4 that I might talk about if I ever get a chance to play them. Uncharted 4 is definitely a game worth picking up and playing because of its very rich graphics and wonderful story. With that being said, the game at least in most of the story mode is linear, but believe it or not there are some explorable areas or more than one path to the end of a specific section/level/area. I do plan to have a review of this game once I’ve had a chance to play through its story and spend some time with the multiplayer as well. In the meantime, I’ve decided to do live broadcasts and have re-postings of it on YouTube as I delve into the story for the first time. That way you can see my first time experiences with a new game and maybe some of the struggles as well as fun I encounter when playing this game. Here’s a general description of the video if you don’t want to watch the whole thing as it is a little over 30 minutes long so if you don’t want any spoilers of the game, DO NOT READ AHEAD! I start a brand new campaign for the first time on a moderate difficulty setting. The game starts off with Nathan and Sam Drake in a boat that’s in the ocean during a very rough storm. The waves are really high and lightning flashes through the sky as heavy rain comes down hard. On top of all this there are other boats chasing you. During the lightning flashes you can see that there is definitely an island ahead of you and so your brother mentions that you should head straight for it. As Nathan is going as fast as he can in the boat, you soon start to notice there are other motor boats behind you trying to catch up to you and you hear gunfire as well. It seems the bad guys have shown up and want you dead. Your brother starts shooting back at them, but at one point a large boat rams you and Nathan is knocked out of the boat into the water. Once you make your way back on it, his brother mentions that the motor has stopped working, but he can get it working again. In the mean time you have to use the gun against those on board the other boats coming at you while the engine is being repaired. This is where you learn how to shoot, take cover, and reload your gun. Nathan’s brother does get it working again, but soon the boat they are on is rammed hard again by a big boat that is on fire and suddenly everything goes dark. The next thing that happens is when the screen lights up again, it is an apparent flash back as Nathan is a kid to early teen at a Catholic orphanage. It appears he has gotten in a fight with one of the other boys there and has gotten in trouble for it as a nun is pretty much scolding him and saying he will turn out like his brother. He looks out the window of the room he is in and notices that someone is flashing a light in his direction. He instantly recognizes that it’s his brother and wants to go to him. Shortly after this scene you get to take control of young Nathan and have to get him to his brother. You initially go out the through the open window in the room, but have to go into the main office of the orphanage. This is where you have to become sneaky and learn how to crouch down and sneak along objects. You have to make your way past the priest and nun in order to get out through another window. If you successfully get past the nun, go out through the window and climb back onto the rooftops, you will make your way to your brother. The next part shows you how to climb and jump on certain ledges, using a grappling hook, and swinging to another ledge and more. Once you do all that and get out of the orphanage, Nathan’s older brother shows him a motorcycle he has during a cut scene. Once you learn some things here regarding your brother, the game shifts to a different time to where Nathan is older and in a prison somewhere. Once the game shifts to Nathan in a prison, you immediately see that you are in a fight with someone there. It is here that you learn the different buttons to fight back as well as dodge punches and other attacks. The fight eventually gets broken up and Nathan is thrown into solitary confinement for a certain period of time. Soon a guard opens the door, handcuffs Nathan and tells him to come with him. He leads you to different sections of the prison eventually leading you into a sewer and then outside to an area where it appears there is a really ancient part of the prison and the guard and wants the share of supposed treasure from a pirate that could be hidden in there. I decided to stop there and call it a night and will resume it again soon. I will definitely give a description similar to this on my next live broadcast/video of my second go round of this game. So far I am really liking and it is such a gorgeous game to play. Check back soon for more updates and post your thoughts on the video below and what you might think of Uncharted 4. I was wondering if the new uncharted is coming out for PC as well? and if so, could you tell me the requirements to play it smoothly? I’m really into this kind of games and if it’s for PC I wouldn’t like to miss it! Hello Daggok. Unfortunately, the game developer is a Sony first party company and so it is exclusive to the PS4 only. It will not be coming to PC or Xbox One. Still though, this game is well worth playing on the PS4. I’m the mother of a gamer so my knowledge extends mostly to what I can translate in his really excited ramblings. It’s nice to find a place where I can translate his happy kiddo speak into something that makes sense.